Google search users are now able to experience breaking news and rich mobile stories from CNN in a new, visual format with Google AMP Stories. 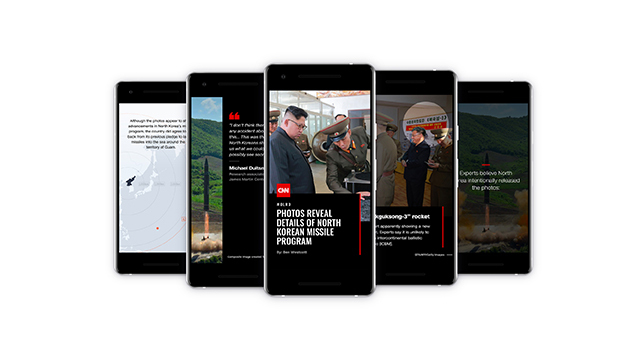 CNN’s AMP Stories are fast to load and designed specifically for mobile devices with a new interactive user interface, allowing users to consume CNN’s reporting through beautiful, immersive mobile storytelling. This expands CNN’s presence on Google’s search and off platform channels, which now includes Google Newsstand, Google AMP, Google AMP Stories, Google Home, and Google Daydream. Read more about Google AMP Stories on Google’s Press Room.